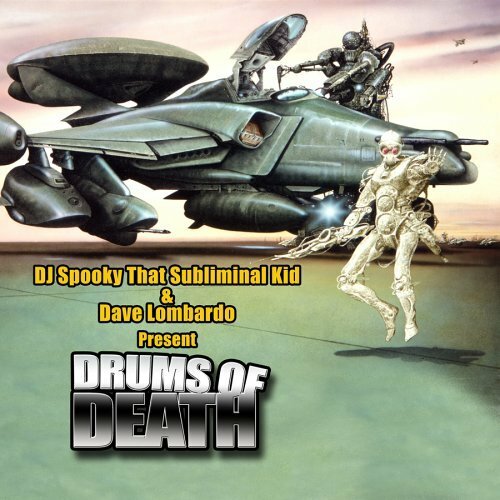 DJ Spooky that Subliminal Kid, has teamed up with Slayer skinsman Dave Lombardo to see what one of the world's best DJs could do with beats supplied by the best thrash metal drummer of all time. As if that isn't enough audio warfare, legendary Living Colour guitarist Vernon Reid and Public Enemy number one Chuck D have provided their stunning sounds to mix. To bring it all together prolific electronica artist Meat Beat Manifesto has been tapped to co-produce Drums of Death along with DJ Spooky.